In honor of American Heart Month, we spoke with Dr. Stephen Sinatra, board-certified cardiologist and doctor of internal medicine, about steps you can take to care for your heart. Q: Can you share a bit about who you are, your career and how you became so passionate about integrative medicine and heart health? A: Happy to. I’m a board-certified cardiologist and doctor of internal medicine. I also have certifications in nutrition, bioenergetic psychotherapy and anti-aging medicine. I began my career as an attending physician at Manchester Memorial Hospital, where I later became Chief of Cardiology. Afterwards, I went on to found the New England Heart Center, which focuses on integrative cardiology. I chose an integrative path because my biggest frustration as a conventional doctor was that I kept seeing the same patients coming back over and over—no one really seemed to get well. That’s why I started using complementary nutritional therapies to support the heart and true wellness. At that time (almost 40 years ago), I began using Coenzyme Q-10 (CoQ10) with my patients and started seeing positive results. CoQ10 is very powerful and I saw firsthand what a difference it made in my patients’ lives. Q: CoQ10 is one of the ingredients in your supplement line, but there are other ingredients as well. How did you determine what other ingredients to include in your Omega Q Plus line? What makes your Omega Q Plus products so unique? A: While trying to incorporate the strengths of conventional medicine with the benefits of holistic therapies, I realized that not all supplements were created equal. So, when I started developing supplements back in the early 1990s, I knew that they had to include CoQ10. And I knew I had to pair it with Omega-3s, because they are critical for your heart. Then I started adding my other go-to ingredients for heart health. I started formulating supplements because I couldn’t find anything on the market that did what I wanted; nothing combined my “essential” nutrients for supporting heart health in the dosages and forms based on my 40 years of clinical experience and research. I wanted to create products that would support all of the important heart health markers—healthy cholesterol, blood pressure, blood flow, cellular energy, blood sugar, a healthy inflammatory response and healthy aging. What makes my Omega Q Plus products so special is that they include all of the ingredients I believe, based on my years of experience and research, to be key cardiovascular health nutrients in one place. These advanced heart health supplements don’t just address one or two top heart health risk factors, but multiple factors. This is so important because I find more often than not, people are struggling with more than one heart health concern. These formulas are so comprehensive in that they are designed to support markers of heart health—healthy blood pressure, blood flow or C-reactive protein (a key heart health marker) or cholesterol or triglycerides, the list goes on. In addition to these heart health benefits, these products provide brain, eye, healthy aging and cellular energy support, too! To get all of this in one formula is truly remarkable. That’s why I’m so excited to share them with you. Q: You talk a lot of CoQ10. Can you share more about how it can support heart health? A: I could talk about CoQ10 all day long – it’s my #1 nutrient for heart health. I could not have practiced effective cardiology without CoQ10. It’s THAT important. CoQ10 is what I call the “wonder nutrient” that resides in the mitochondria, which are the tiny “energy factories” that reside inside each of your cells. CoQ10 is critical for your cells to generate ATP, which is the fuel for our body. This is particularly important for your heart muscle—a muscle that requires huge amounts of oxygen and energy to function. CoQ10 is also a potent antioxidant and a free radical scavenger, which can help protect the cells throughout your body. This is important because as your cellular energy levels increase, free radical production increases, and it is important to address the free radicals that are a byproduct of increased energy production. Plus, if you are taking a statin drug, CoQ10 may be recommended because statin drugs may deplete your CoQ10 levels. Supplementing with CoQ10 can help to replenish those levels. In fact, if you are on a statin drug and over the age of 50, I recommend supplementing with at least 100mg of a highly bioavailable ubiquinone form of CoQ10, one that is better absorbed in your body and especially into your cells, where it’s really needed the most. But keep in mind, CoQ10 is not a replacement for a statin drug and you should always consult your doctor before taking any supplements or discontinuing any medications when taking CoQ10. 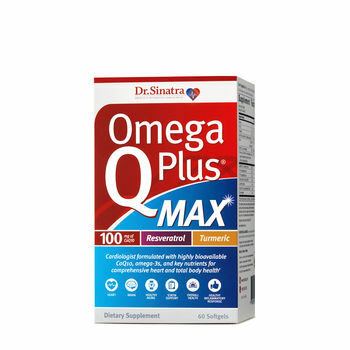 Q: Omega Q Plus is a combination of multiple ingredients known to play a role in heart health. Now let’s discuss one of the main ingredients – Omega-3s. Why are these fatty acids important to include in your diet? A: Omega-3 essential fatty acids are my second go-to nutrient for hearth health and overall health. They support so much. I’ve said over and over again, if I was stranded on a desert island, I would want a few cases of CoQ10 and Omega-3s to be washed ashore. But it’s not enough to just get Omega-3s—you need the right type and the right balance of fatty acids. There are two types of Omega-3s that play major roles in good health: docosahexaenoic acid (DHA) and eicosapentaenoic acid (EPA). Your body needs DHA and EPA Omega-3s for heart and vision support. 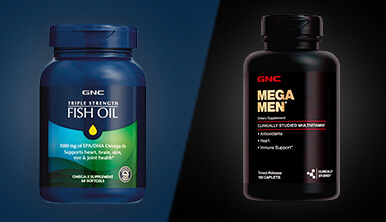 As essential as Omega-3s are for your health, your body can’t manufacture them. You need to get them through foods or supplements that are high in DHA and EPA. Depending on your diet, it may be harder to get DHA from diet alone than it is to get EPA, which is why supplementation is so key. Both DHA and EPA support so many aspects of cardiovascular health: healthy blood pressure, cholesterol, triglycerides and C-reactive protein (a key marker of heart health). While both EPA and DHA are healthy for you, as a cardiologist, I feel DHA is critical for heart and overall health. My recommended Omega-3 is CalaMarine® oil because of the balance of DHA to EPA. CalaMarine oil comes from calamari (deep sea squid) and is naturally richer in DHA than ordinary fish oil. It is also one of the cleanest, purest sources of DHA and EPA. Plus, since CalaMarine oil is not from fish, you won’t get those nasty fishy burps or aftertaste. From a dietary standpoint, fatty fishes can be good sources of DHA Omega-3s, including wild-caught salmon, herring, small Atlantic halibut and mackerel. Foods like enriched eggs, flaxseed, nuts and seeds also supply DHA Omega-3 benefits for brain health, but it’s tough to get all you need from food sources alone, so that’s why I recommend taking a good Omega-3 supplement as well. Q: How do nutrients like vitamins B-12, B-6 and folic acid support heart health? A: We often hear about B vitamins as the “stress vitamins” because they can become depleted in times of stress—but what we don’t hear often enough is what the benefits of B vitamins are for your heart and overall health. I was one of the first cardiologists to get the word out about this critical connection, especially when it comes to homocysteine levels. Homocysteine is an amino acid found in the blood that is a byproduct of normal metabolic function. One of the largest benefits of vitamin B-6, vitamin B-12 and folic acid is their ability to support normal homocysteine levels by promoting the methylation of homocysteine. This process converts homocysteine to another amino acid, methionine. Homocysteine can also be a predictor of brain health, another reason to keep it in the normal range—not too high, not too low. 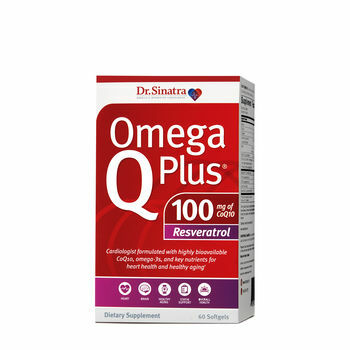 Q: All of your products contain the same core heart heath ingredients (CoQ10, Omega-3s, Crominex®3+ chromium, B vitamins and L-carnitine), but two of your products also include resveratrol. Why did you decide to include resveratrol in these formulas? A: I’m sure you’ve heard of resveratrol—the “red wine” antioxidant that’s renowned for its support in cell aging. But what really impresses me are the cardiovascular benefits resveratrol brings to the table. Resveratrol helps protect against free radicals—those molecules that destroy healthy cells, damage tissue and promote cell aging. So, to me, as a cardiologist and anti-aging specialist, whenever I can find a nutrient that supports cell aging and heart health, I’m all in. That’s why I love resveratrol. Q: Your Omega Q Plus MAX also includes turmeric. What is turmeric and why did you decide to formulate one of your products with it? A: Turmeric is an ancient bright-yellow spice used in Ayurvedic medicine, an Indian form of healing. To most people in India, the tasty, bright-yellow spice, turmeric, is affectionately known as “the kitchen queen” because it is such a staple spice in cooking. It’s the main spice in any curry dish and has long been one of my favorite spices in a heart healthy diet plan. Why? Because turmeric contains a powerful antioxidant called curcumin. As a cardiologist, I believe having a healthy inflammatory response is one of THE most important things in maintaining heart and overall health. And thanks to growing research, we now know that turmeric is great for supporting this. Q: There’s more to heart health than supplements alone, though. Can you share some other important lifestyle habits that can support a healthy heart? A: If I could, I would sit with you for an hour and tell you exactly how to keep your heart healthy. I’d explain that it’s not as complicated as you may think and that it’s a lot easier to keep your heart healthy than to repair it after damage has been done. Here are a few important lifestyle tips for keeping your heart healthy. First, follow a heart-healthy diet. I’m a big believer in what I call the Pan-Asian Modified Mediterranean (PAMM) diet. It’s a combination of the diet followed by the people on the Greek island of Crete (also known as the Mediterranean diet) and a diet common among people living on the Asian side of the Pacific Rim—and I believe it truly is the “secret sauce” for better heart health. The PAMM diet includes fresh fruits and vegetables, fish, precious olive oil and nuts. Meat is used sparingly, often just enough for flavoring. Healthy fats like olive and avocado are also part of the diet. What makes both of these diets good for heart health is that they are rich in folic acid and Omega-3 fats, which are good for a healthy blood cholesterol and blood pressure, as well as heart health. Another important thing you can do for your heart and overall health is exercise. No other healthy heart tip has such an immediate and long-lasting impact on your heart health and general well-being as regular exercise. 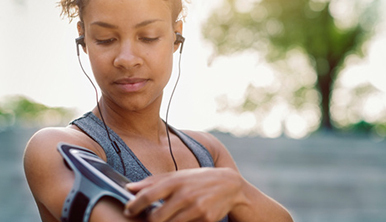 Even simple exercises can help strengthen your heart and circulatory system, build stamina and improve your state of mind. When people ask me for the best exercise to maintain a healthy heart, my answer is always the same: "The kind you'll keep doing day in and day out." A third key lifestyle tip is to get adequate sleep! While it may require a few healthy heart lifestyle changes, I encourage you to get 7 to 8 hours of sleep every night. And lastly, I strongly recommend grounding, or earthing, that simply requires you to walk outside barefoot. Sounds simple, but I strongly believe the benefits can be incredible when it comes to how to keep your heart healthy. I ground every day and I recommend everyone does as well!